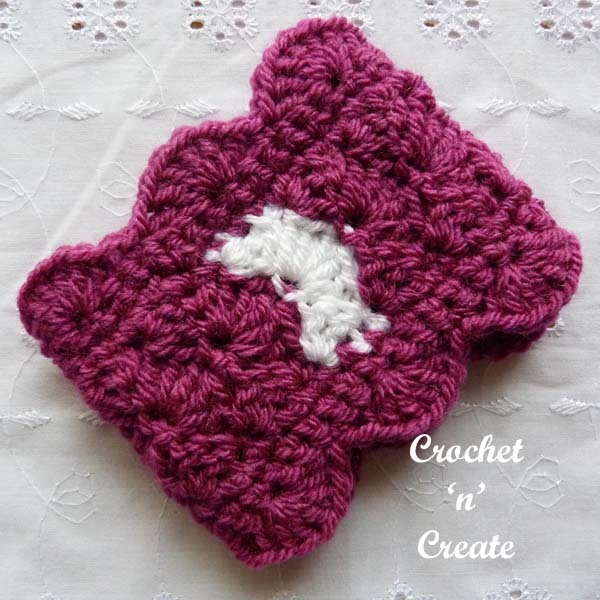 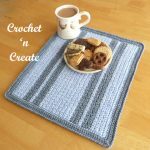 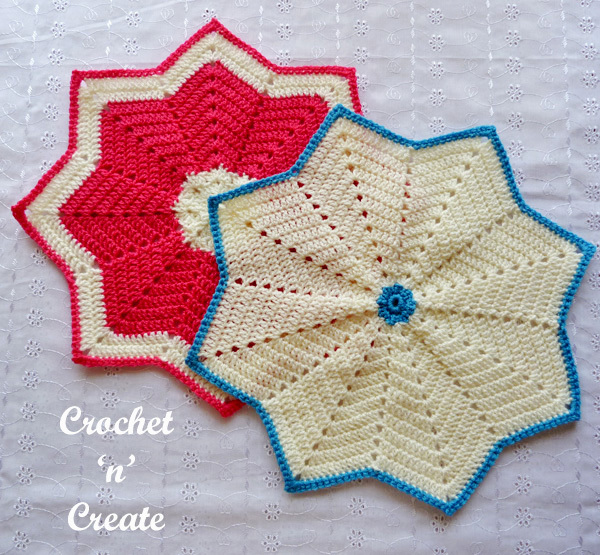 Star Coffee Table Mat – Beautiful star shape mat, a retro shape that you can use on your coffee and occasional tables, you can also crochet it for your dressing and bedside tables. 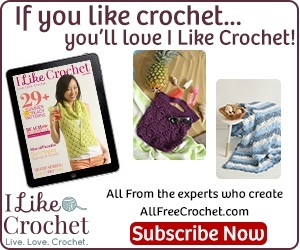 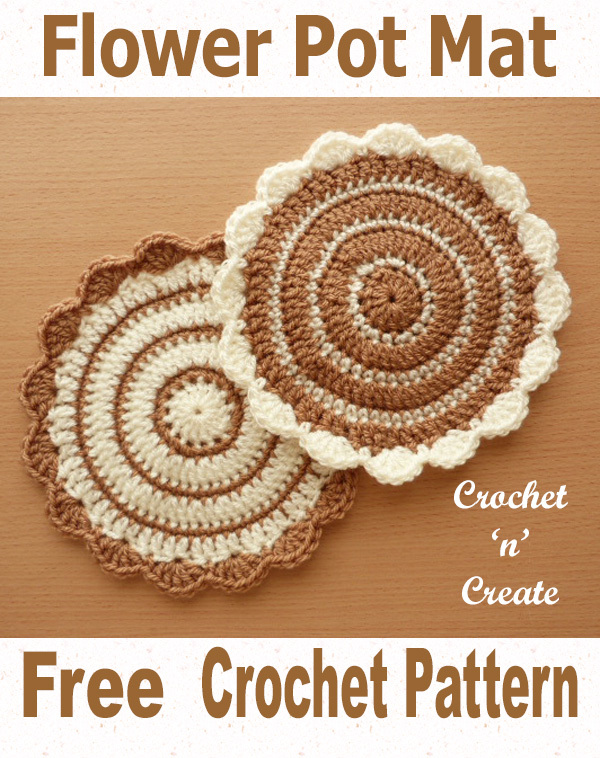 The free crochet pattern is written in Both USA and UK formats and are listed below, scroll down to get them. 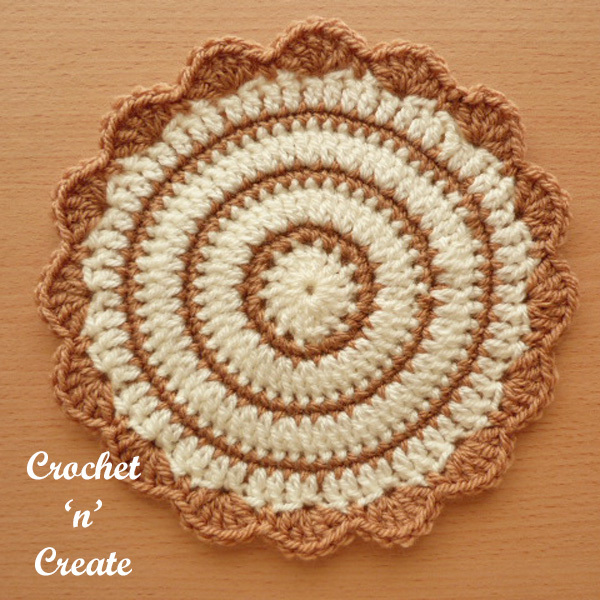 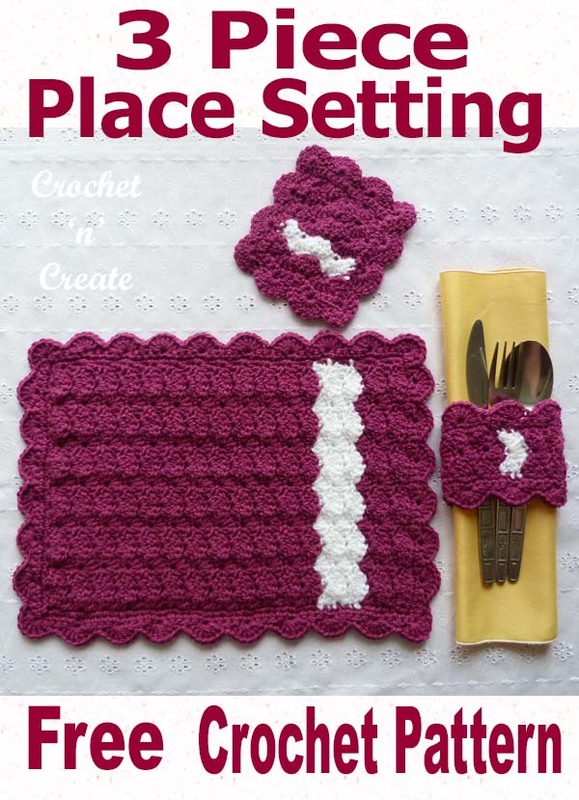 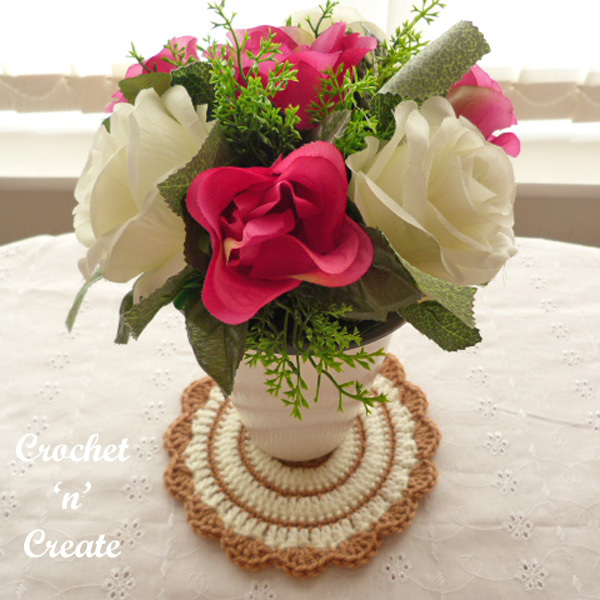 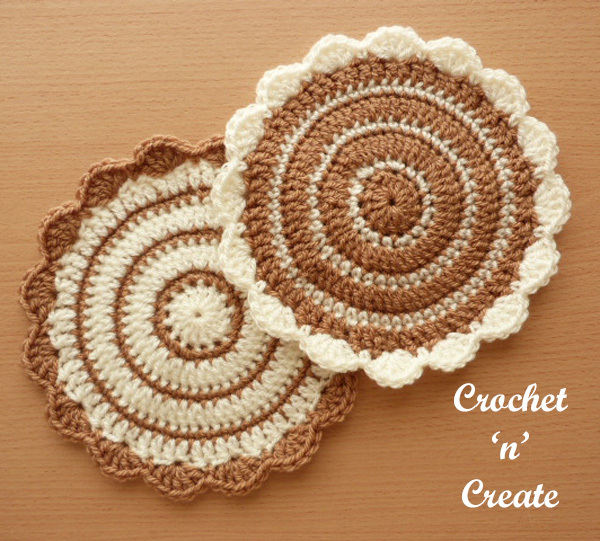 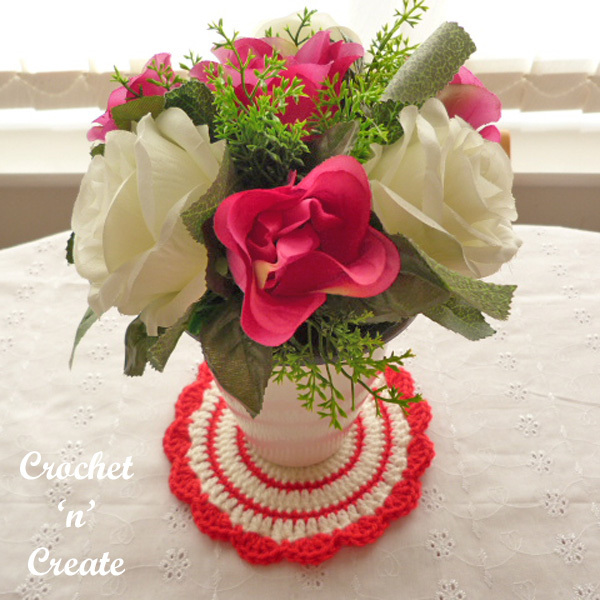 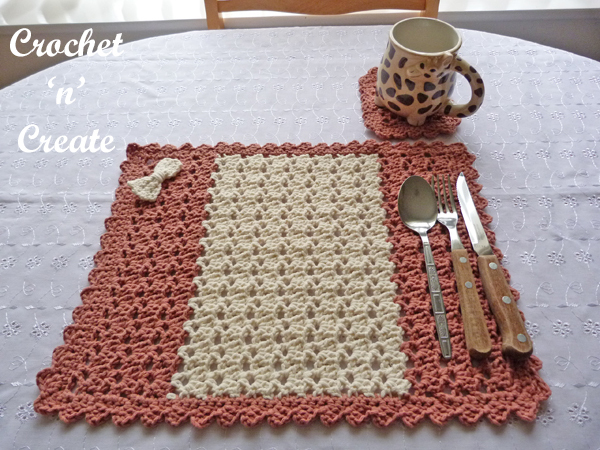 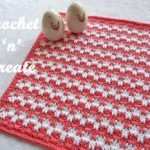 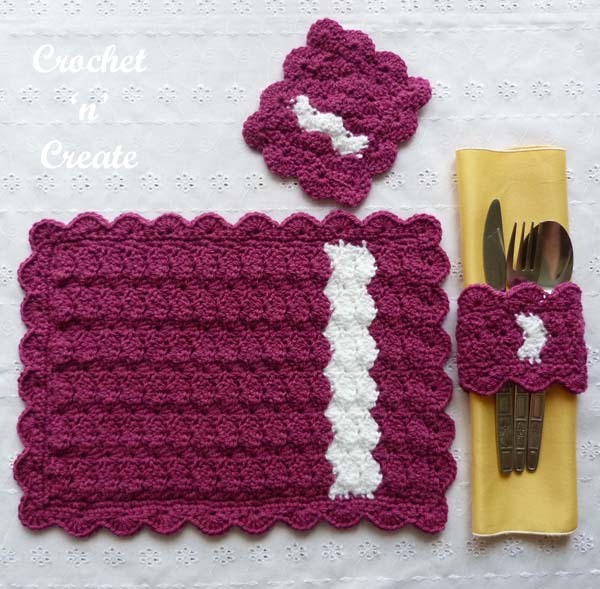 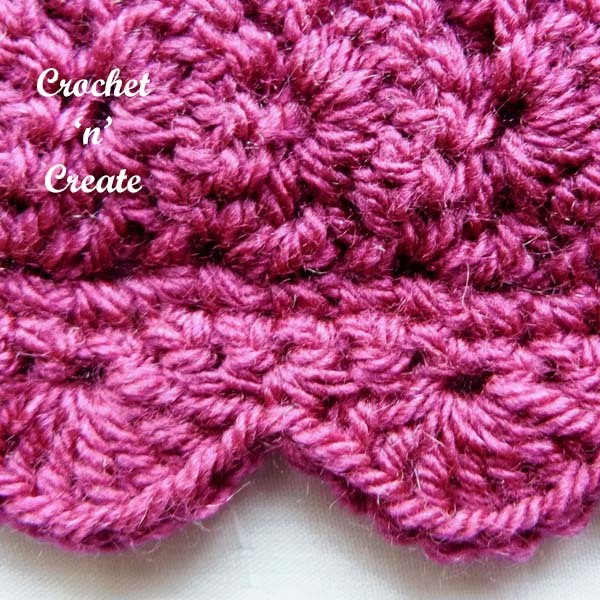 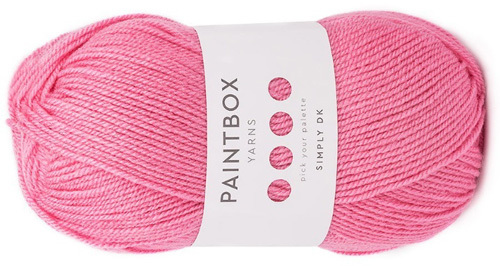 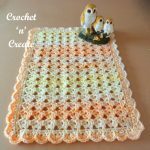 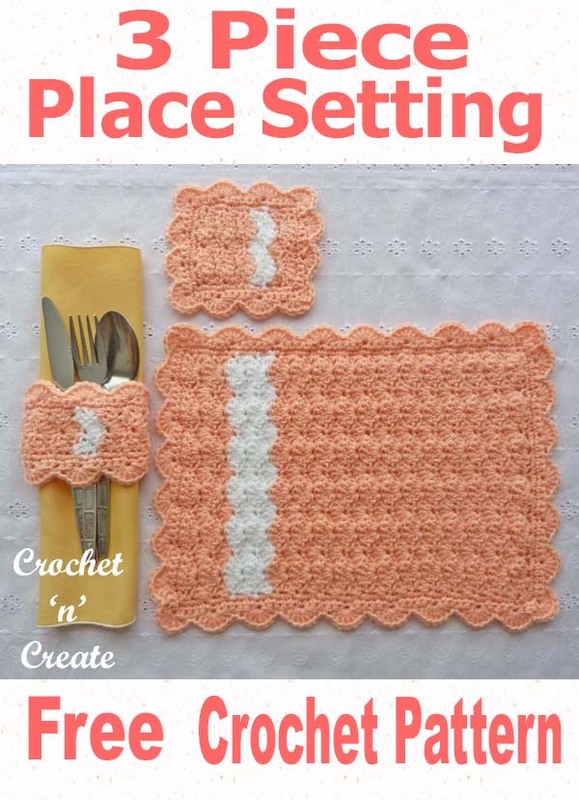 This entry was posted in crochet doily, crochet table mat and tagged crochet, crochet doily, crochet for home, crochet table mat on 10th April 2019 by crochetncreate. 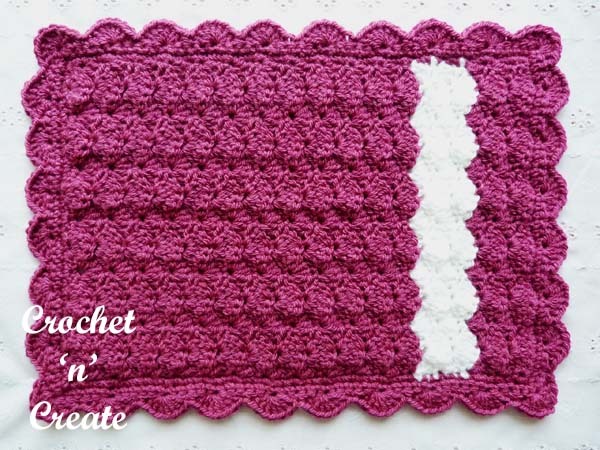 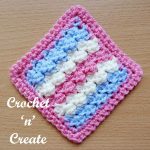 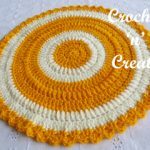 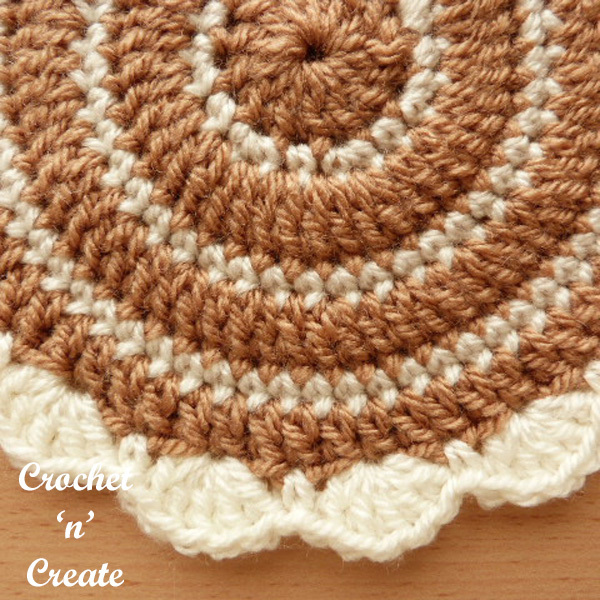 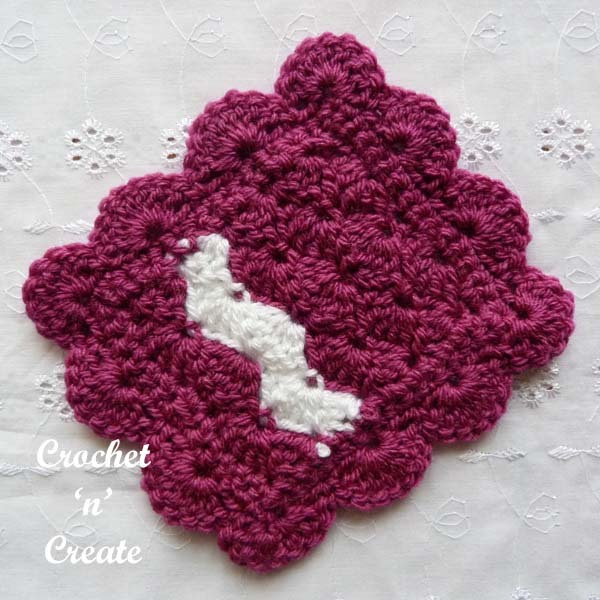 Flowerpot Mat Free Crochet Pattern – A pretty mat you can make for house warming gifts or use around your own home, play with your colors to make them cheery. 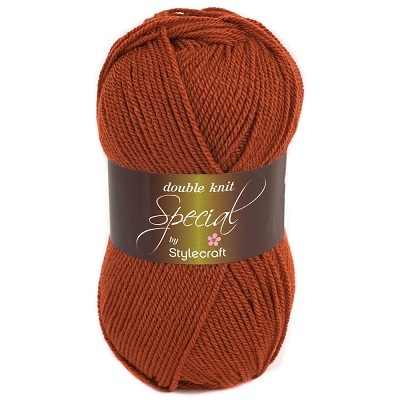 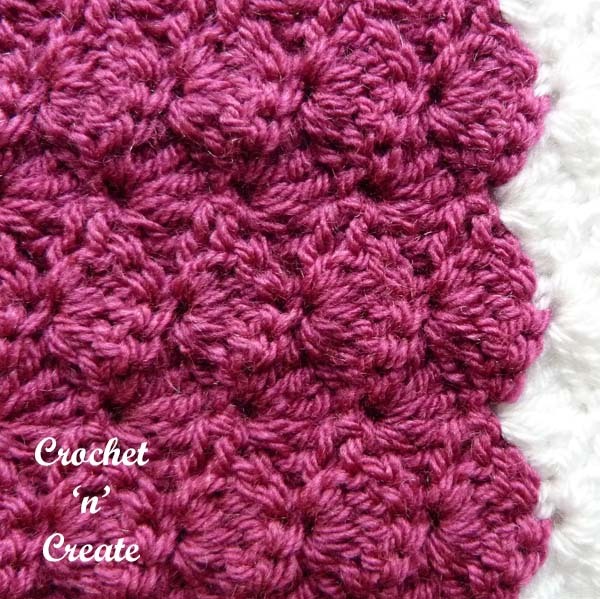 Easy simple stitches and finished with a shell edge. 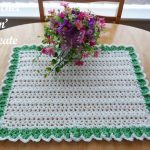 This entry was posted in crochet for the home, crochet table mat and tagged crochet, crochet flowerpot mat, crochet for home, crochet mat, crochet plantpot mat on 19th December 2018 by crochetncreate.